Our theoretical model proposes that insomnia, worry, and negative affect are important determinants of paranoid thinking. Anxiety produces anticipation of threat, depression increases the sense of vulnerability, worry leads to implausible ideas, and insomnia exacerbates negative affect and creates an altered perceptual state. The study objective was to examine for the first time these factors as predictors of the onset of new paranoid thinking and of the persistence of existing paranoid thinking. A total of 2,382 participants in the 2000 British National Psychiatric Morbidity Survey were followed-up 18 months after their first assessment. Baseline assessments were used to predict the development and persistence of paranoid thinking at follow-up. Data were weighted to be representative of the general household population. Insomnia, worry, anxiety, depression and depressive ideas were each substantial predictors both of new inceptions of paranoia and of the persistence of existing paranoid thinking. Worry and insomnia were the strongest predictors. For example, insomnia at the first assessment led to a more than threefold increase in later inceptions of paranoid thinking. The study indicates that insomnia, worry, anxiety and depression are potential risk factors for new inceptions of paranoid thinking. The results also corroborate an emerging literature indicating that anxiety, worry and depression may encourage the persistence of paranoid thinking. The study provides the first longitudinal evidence linking insomnia and paranoia. 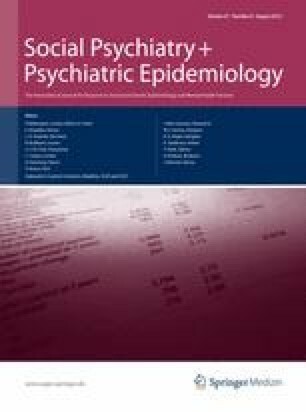 The important clinical implication is that the use of interventions for common mental health difficulties in people with psychosis may have the additional benefit of reducing paranoia. Daniel Freeman is supported by an MRC Senior Clinical Fellowship. Do you avoid getting involved with people unless you are certain that they will like you? Do you find it hard to be ‘open’ even with people you are close to? Do you often worry about being criticised or rejected in social situations? Do you believe that you are not as good, as smart, or as attractive as most other people? Do you find it hard to disagree with people even when you think they are wrong? Do you often have to keep an eye out to stop people from using you or hurting you? Do you spend a lot of time wondering if you can trust your friends or the people that you work with? Do you find that it is best not to let other people know much about you because they will use it against you? Do you often detect hidden threats or insults in things people say or do? When you are out in public and see people talking, do you often feel that they are talking about you? When you are around people, do you often get the feeling that you are being watched or stared at? Over the past year, have you ever felt that your thoughts were directly interfered with or controlled by some outside force or person? Over the past year, have there been times when you felt that people were against you? Have there been times when you felt that people were deliberately acting to harm you or your interests? Have there been times you felt that a group of people was plotting to cause you serious harm or injury?